The new UE700 Pro USB 3.1 drives have capacities ranging between 32 and 256 GB. Writing and reading speeds are highest on the largest capacity models, which can prove to be even faster than the usual SATA HDDs. Prices for the 256 GB model are expected to be similar with those of same capacity external HDDs. 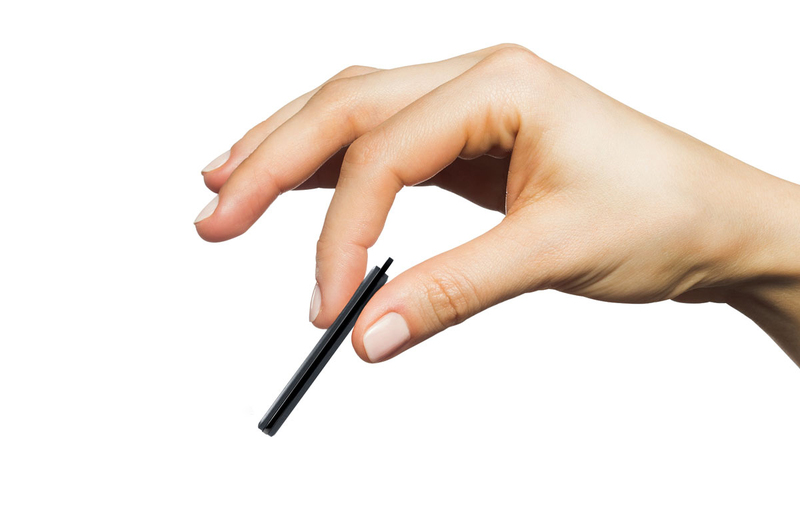 Need a storage device that does not take precious space and does not weigh too much? 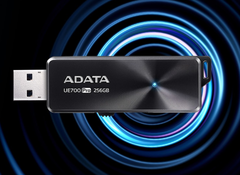 ADATA now offers USB flash drives that can store up to 256 GB and are very compact and lightweight, as well. The new UE700 Pro drives also support the USB 3.1 standard for the fastest read/write speeds. As far as storage capacities are concerned, the new UE700 Pro models include 32 / 64 / 128 / 256 GB options. The large capacity models have the fastest read/write speeds that can reach up to 360 MB/s and 180 MB/s, respectively. The sturdy black brushed aluminum chassis is only 0.3-inch thick with a total weight of around 0.4 oz. The length of the drive is definitely not the smallest one around, but this actually makes it harder to misplace or lose. It comes with no protective cap, as the drive integrates a slide mechanism for the USB port, and a blue LED is signaling the drive state. 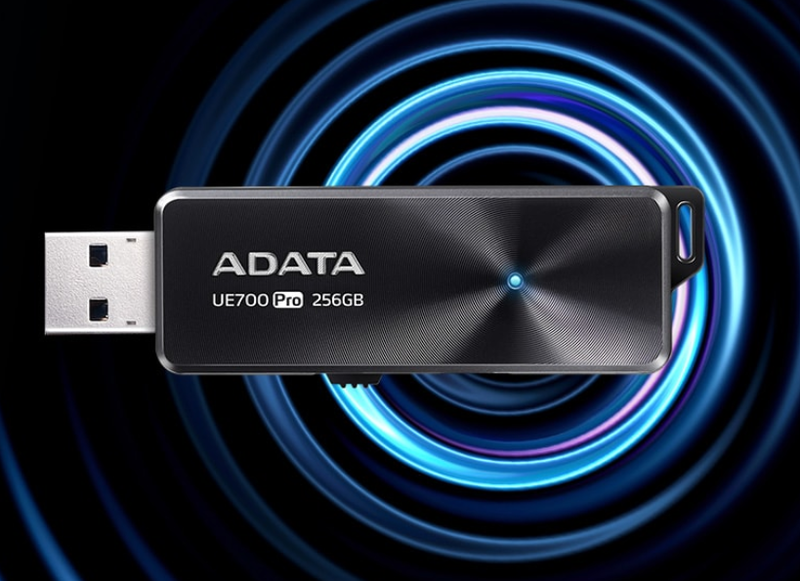 ADATA has not yet revealed availability and pricing details; however, since the new USB drives already have an official page, these aspects should be revealed very soon. The 256 GB model is expected to cost around US$100 due to its speeds, but this still makes it a good alternative to external HDDs of similar capacities.